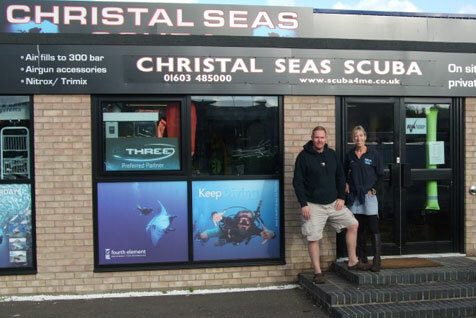 More than just a dive shop... Christal Seas Scuba is Norfolks PADI 5 star Instructor Development Centre and offers expert tuition from our team of friendly professional Instructors. We have been training divers and organising group holidays for over 10 years and aim to offer the best experience possible. We specialise in looking after you right from the start of your holiday - from organising transport to the airport, making sure you have a buddy on the boat, to showing you the best bars and restaurants in the resorts. 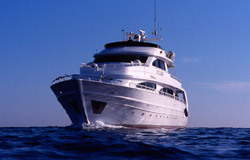 You are guaranteed a great holiday with a group of like-minded divers and are likely to come back wanting more. If you fancy on doing a course before you go or while on holiday we have a wealth of experience and providing a professional, safe and fun experience is our main aim. Why not take the opportunity to learn more about underwater photography, drift diving or night diving with one of our expert Instructors. If there is a destination you would like to visit please let us know and we will do our best to arrange a trip there.